Does biotin work for hair growth? How effective is biotin when it comes to restoring the health of your hair? Have you ever wondered what’s the biotin recommended dose for hair growth? According to studies, the intake of biotin does have an immediate and noticeable effect on the health of your hair. 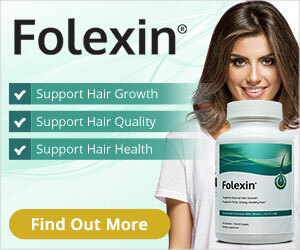 Follicles seem to grow thicker, and roots seem to get stronger upon the intake of Biotin. Aside from that, Biotin seems to also have a positive effect on the growth of the nails and the glowing of the skin. Biotin, also known as Vitamin H, is a part of the B vitamin family. In the past, biotin was not really known to be a supplementary vitamin. But with recent studies able to uncover the effect of biotin, particularly on hair growth, nail strength and skin cell regeneration, more and more people are now using biotin as a supplement. The effects of biotin on the body seems to be revolving around its role as something vital to cell growth and proliferation. Vitamin B7 and other B-complex vitamins are known to react well with enzymes to help in the metabolism of certain fats and proteins in the body. Aside from that, B-vitamins also help in producing amino acids, also known as the building blocks of protein. This explains how biotin is known to affect not only the hair growth of an individual—it affects skin and nails as well. The more pressing question is how effective is biotin for hair growth? Keratin, a protein that is mainly found in the hair and in the nails, is said to be boosted by the intake of biotin. With the increase of keratin in our body, hair and nails also become boosted too. Brittle nails start to become stronger and thinning hair starts to become thicker. The elasticity of the hair also increases, and dry breakage is significantly reduced. Because of this, the hair becomes noticeably fuller and healthier with the intake of biotin. Now that we know how biotin affects the hair growth in the body, the next question should be this: what should be the recommended biotin dosage to make sure that the effects on hair growth are seen? According to some study made by Dr. Richard Scher, nail and hair disorders can be reduced and improved with a minimum dosage of around 2500-3000 mcg a day. While there is no official minimum or maximum dosage that is endorsed by governing bodies such as the FDA many supplements offer a dosage of at least 10,000 a day in their products. The reason for this is simple: the more biotin in the body, the stronger the effects on the body will be. Remember, biotin can be found in food sources too—so going over 10,000 should not be a priority. You can just use vitamin supplements as a complementary source of biotin for your body. Most supplements’ packaging states the biotin recommended dose for hair growth is up to 10,000 mcg. This seems to be the working standard that is followed currently in the market, but this doesn’t mean that this is the “official” recommended biotin dosage for hair growth. Simply put, the more biotin in each dosage means that there is a stronger effect to be seen, especially for those people who are suffering from rapid hair loss and balding. While strong scientific evidence is still lacking, the presence of anecdotal evidence and testimonials from people remains as solid proof that biotin indeed affects the health of our hair in some way. If you are going to use biotin as a supplement, you can start with a dosage of around 5000 mcg and go up to 10,000 mcg for maximum potency. There are many biotin products in the market today that is sitting within this range of efficacy—you have a lot of options to choose from! Your health is very important, and having questions when it comes to the toxicity of biotin intake is indeed a legitimate concern. News of overdose and toxicity caused by too much intake of vitamins, which our body can’t metabolize on time, is not a new thing. It can really make you cautious when it comes to biotin intake. So far, there has been little news when it comes to biotin overdose. Animal trials have shown strong tolerance and very few side effects of too much biotin consumption. However, to be on the safe side, the best thing that you should do is consult your doctor about your plan to take biotin as a supplement. Your doctor will know what dosage to recommend to you, depending on your hair growth goals, and this should be the safest way to go around it. Remember, we only have one body. Taking care of it is still your number one priority. While the recommended biotin dosage for people who are interested in hair growth seems to vary, several supplements offer biotin dosage that ranges from 5,000 to 10,000 mcg. These biotin dosages are quite efficient, and they can really help you in your quest for healthier hair, nails, and skin. Still, you have to consider the opinion of your doctor when it comes to your biotin intake. If you are really serious about protecting your health and growing your hair back, you need to know how your body works. Each body has different needs—which is why consulting a doctor who knows what is best for your body should be a priority. Hopefully, this article has shed some light on the amount of biotin that you need to help in your hair growth! Biotin is a great vitamin to add to your daily diet—just be careful with the dosage and consult your doctor for best results.